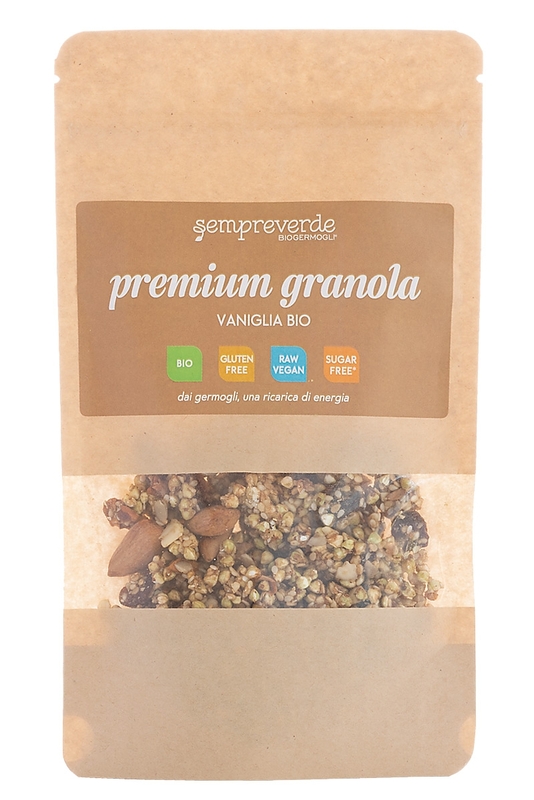 SUPER BREAKFAST OR SNACK TIME FAVORITE. 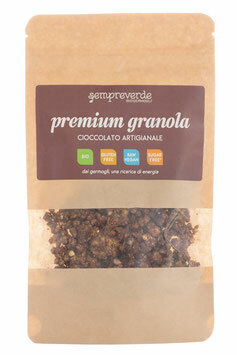 Ingredients: sprouted buckwheat, raw chocolate, activated almonds and sesame seeds. 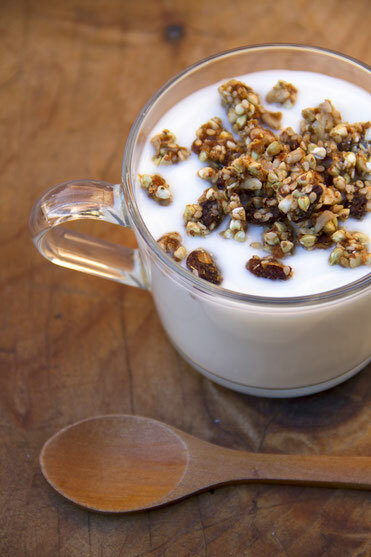 Perfect for a complete breakfast packed with flavors and energy. A precious combination of sprouted seeds, dried fruits and raw artisan chocolate that creates an explosion of authentic taste. High in fibre; source of iron and calcium. 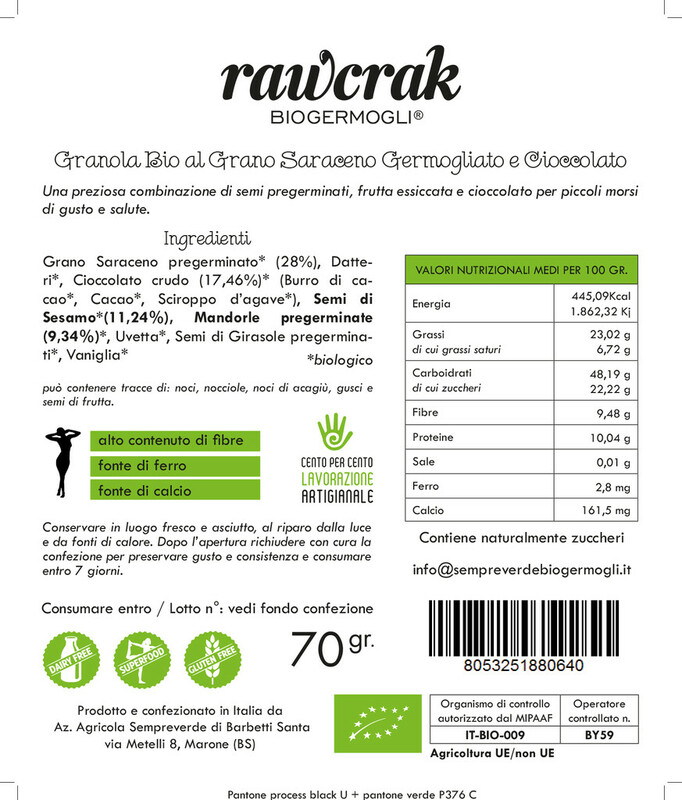 Ingredients: sprouted buckwheat, dates, sesame seeds, sprouted almonds, raisins, pregerminated sunflower seeds and vanilla. 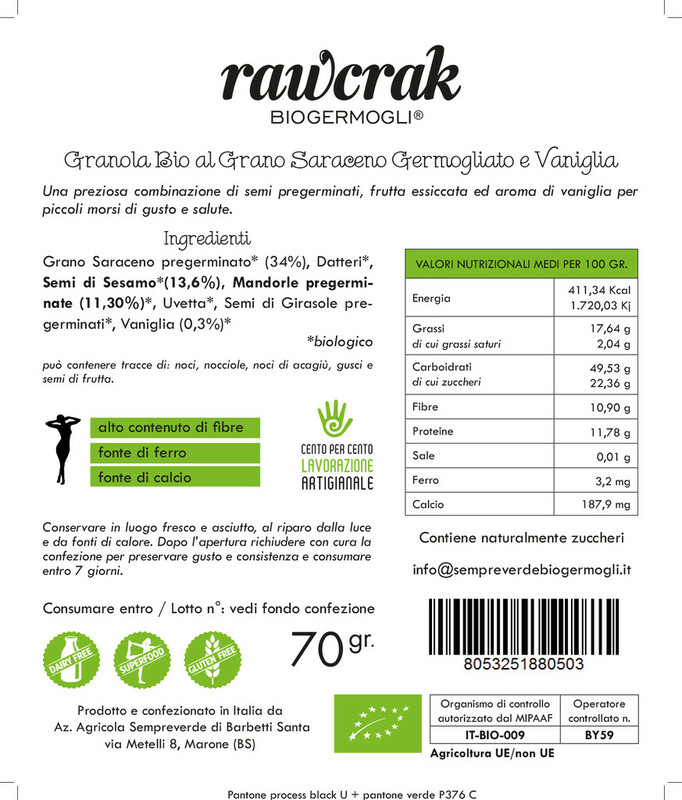 A delicious combination of sprouted seeds, dried fruits and Borboun vanilla that creates an explosion of authentic taste. 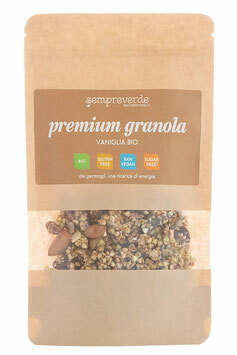 Our seleciton of granola is not just a high-end muesli, but also a perfect snacktime favorite for any time of the day. The precious ingredients used are a great natural energy booster. Easy to nibble on all day long ; while at work or on the go! Comes in a comfy reseable pack. Take your energy with you everywhere you go!